I have been trying to work out how to open a Mac SE/30, in order to have a better look at its internal condition. I have the repair manual, and in the "Take Apart" section it references a "pull-apart tool". However, I cannot find any mention of this tool or where to buy one. Attempts to lever the case off using screwdrivers and similar implements have been unsuccessful. What is a pull-apart tool? Where can I get one, or what can I use instead? 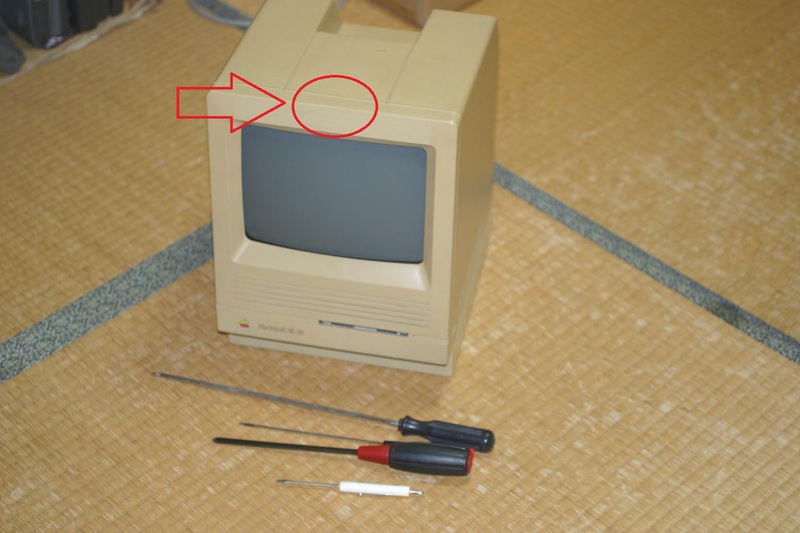 There was, at one time, a custom tool for this job called the "Mac Cracker" and Apple provided their own to dealers and authorized repair shops. In essence, what you need is a long handled Torx T15 driver and a spudger or similar tool to pry the halves of the case apart without damaging the plastic. There are other examples of "case crackers" that do the same thing, applying even pressure to force apart tower cases. Using a flat screwdriver to loosen the case is possible, but not advised. The small area over which the force is applied tends to crack or scar the case. You can often see signs of this kind of distress on used Macs. Best to use one the aforementioned tools, or just a couple of good whacks and gravity. to crack the case open. Nothing else. 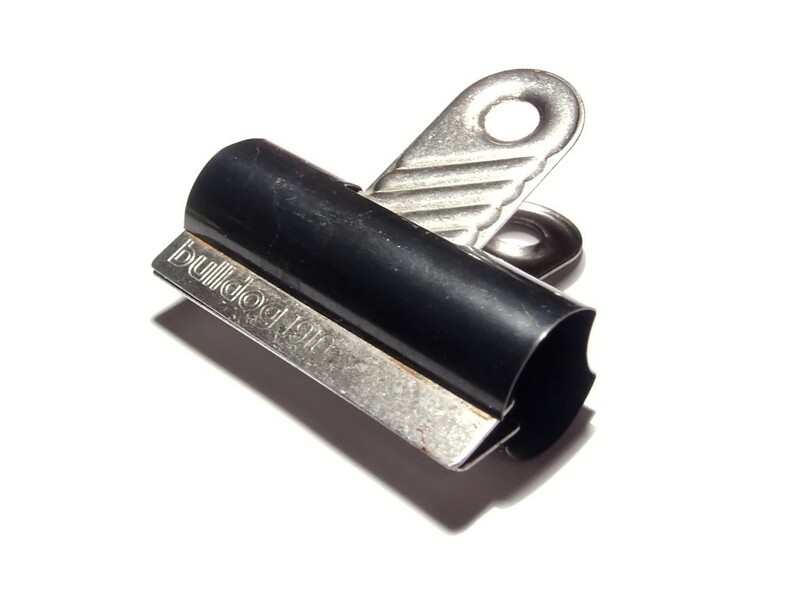 The bulldog clip is the cheapest, and best approximation to the "pull apart tool" to which you are referring. Top tip: once you have extricated the Torx screws, replace them with Philips/crosshead ( or Allen bolts), to make life simpler for you in the future, as long reach Torx screw drivers are generally harder to find than other types. My "pull apart tool" of choice for toaster Macs is a pair of hands, utilising gravity and friction! Place the Mac face down on a softish surface, top or bottom facing towards you. 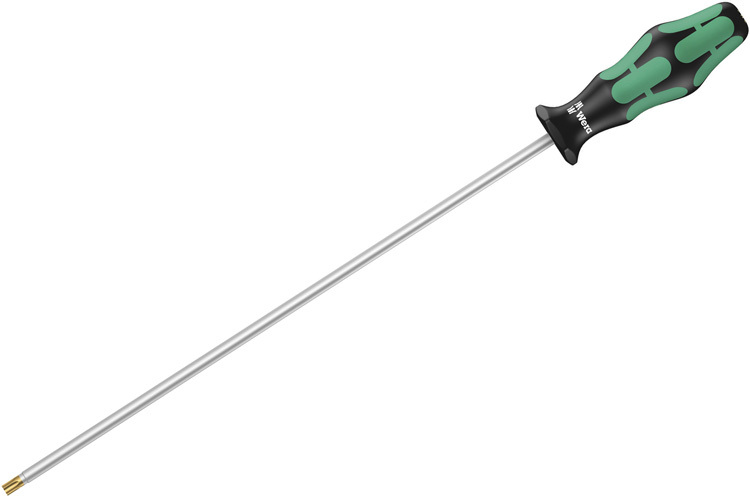 Remove the Torx screws (make sure you get them all!) and then place your hands almost on the sides of the Mac as if you're about to clap. Then, move your hands quickly towards each other to grip the rear casing and move them up immediately on touching the sides - you're not trying to lift the machine, but let gravity keep the main part of the machine down while your hands try to break the friction holding the rear casing to the front. You may need a few attempts. I find machines tend to be easier to open this way after they've already been opened, but I have been able to open previously unopened machines using this method. It takes some practice, but I've had good success with it. You might like to try on a dud machine to get the hang of it just in case your unpractised method lifts the whole machine too much. You won't damage the case as you would trying to use a screwdriver or ordinary spudger, and you won't have to look for the official tool or one that works as well. The other responses here are correct (except the spudger, IMO -- it might work but isn't really the tool being asked about here). The ones I remember looked different, like in this picture which I'll include in case someone finds one and isn't sure what it does. 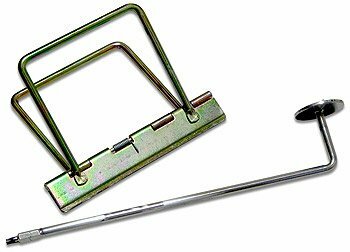 They worked like the bulldog clip... stick in the crack at the top of the classic-type Mac and wedge the case apart. They are probably referring to a spudger, though it's hard to tell. If it is intended to safely lever apart plastic parts that are held together with friction in such a way that a screwdriver would damage the case, then this is probably what it is. A number of different spudgers (sizes, stiffness, etc.) are handy tools for retrocomputing fans. One of my pull-apart tools is simply a spring clamp marked "Pony 3201 Made in USA". I bought a Mac opener kit from APS long ago. This Mac opener kit consisted of ... a pull-apart tool ... The jaws (closed) of the clamp measure 3/4 inch (19 mm) wide and 1/16 inch (1.6 mm) thick. Just insert the jaws and squeeze. You can find a similar tool at any hardware or hobbyist shop or Home Depot or Office Depot. Instead of the pull-apart tool, you can use a medium to long flat-blade screwdriver to open the computer's case. So, a spudger or screwdriver might work, but it looks like the "case-cracker" intended for this job is a spring clamp of some kind. How do you recognize an early production model Commodore 64?